As winter/fall has started with frosty air, cloudy skies winter coats and jackets are considered the biggest fashion statement. Update your winter wardrobe with latest winter fall coats and jacket trends of 2017. Pick coat or jackets that are not only warm but also cozy. Winter coats and jackets are available in a wide range of cuts and designs as various designers have introduced their winter fall collections that shows different trends around the world. Depending on the climate you may choose a coat by keeping in view functionality. 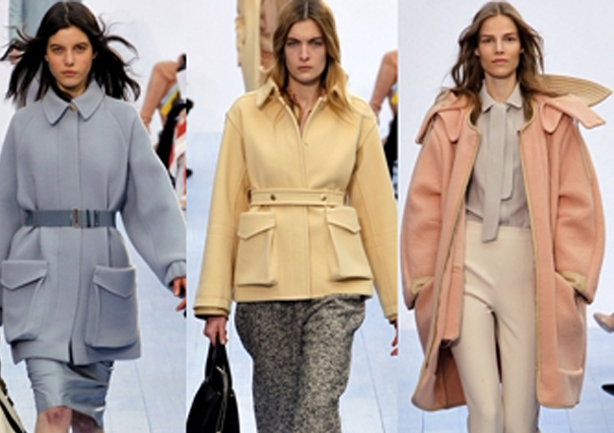 After watching various designer coats and jackets I found the following fall winter coat trends for women . Lets have a look at different kinds of outerwear styles that are very popular this cold winter season. An undisputed and classic trend of the season is the trench coat. 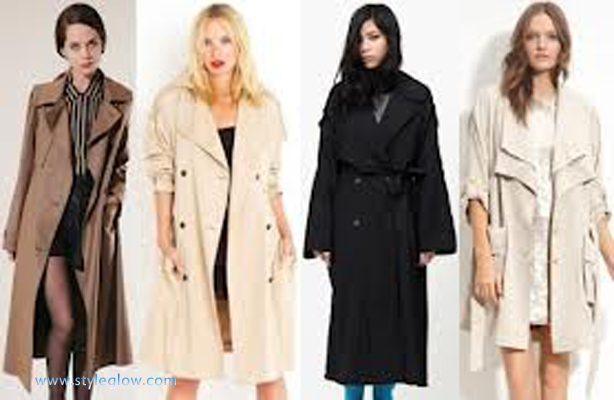 The classic trench coat is an over garment that never go out of style, from conception up till now every year designers present trench coat with little variations showing their own personal taste. The absolutely classic trench coat is the winter must have wardrobe item for feeling warm and comfortable during rainy days, it is roomy to provide ease of wear. Burberry, Victoria Beckham, Ralph Lauren, Betsey Johnson, Michael Kors shows such trends. This season most popular length of the women coat is in the middle of the knee or midi, but do not restrict yourself to the middle of the knee length. Floor length coats have also been seen on runways but are not very practical. In order to attain stylish winter looks designers created mini coats (middle of the knee) that give a smart and slender look. Day by day temperature drops and drops jackets, coats and outerwear have become the focus of the fashion. When it gets frosty a fur coat gives warm and cozy effect. Fur is an extremely fashionable material used as the basis or at collars, hems and cuffs in women winter/fall coat collection 2017 on runways. Marni, Mui Mui, Marzoni 24, Woolrich, Inès & Maréchal, Rachel Zoe, Burberry and many others are showing fur coat trends this season. 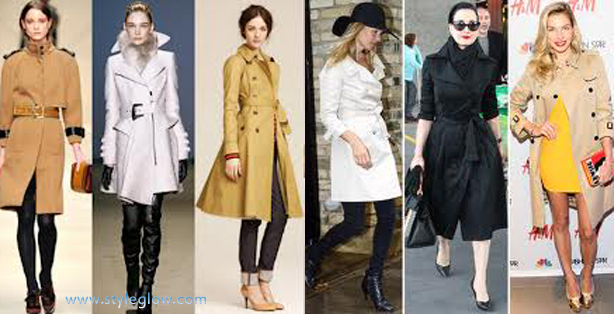 In order to acquire chic and stylish look in cold weather many ladies all around the world go for over sized coats. Designer collections winter/fall 2017 are full of oversized coats that can highlight the woman’s silhouette by layering. For decorating your oversized coats you can choose bright colored accessories. 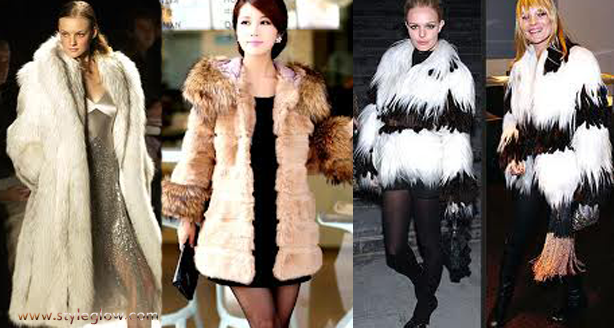 Different celebrities and designer collections reveal that over sized coat is the trend of the season. The Chloe brand shows oversized coat trend this season. Leopard, tiger, snake skin, zebra prints shown a trend that you can see every year. This season different designers presented animal printed outerwear with little variations however, leopard print is the main trend of the season. Peter Som, Blumarlne, Isabel Marant, Stella McCartney, Paul and Joe fall collections show animal printed coat trends. Coats with wide collars or fasteners/belts are shown on runways however various designer collections also contain coat that are without fasteners. According to your choice you may go for a coat with a fastener or with no fastener. Costello Tagliapietra, Betsey Johnson, Vera Wang, Custo Barcelona, DKNY fall coat collections shows trend with no fasteners, while Burberry coats are with fasteners. You may also read these related posts.